Pink paint has been sprayed on mounds of dog mess left in Gobions Open Space. Last year, North Mymms Parish Council (NMPC) decided to buy highlighting paint in an “attempt to shame residents whose pets foul our open space” after the head groundsman reported that dog mess had become “an increasing problem in all our open spaces”. The parish council's amenities committee felt that the scale of the dog mess issue in North Mymms had reached the point where it now “has an impact on the health and well being of our local community”. The minutes from the committee held in December 2018 reported that the highlighting spray had been bought but, at the time the meeting was held, had not yet been used. 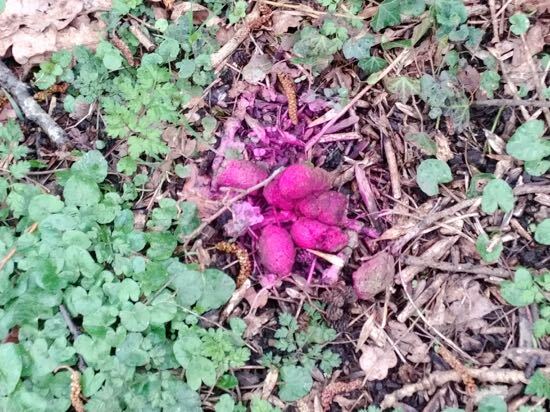 North Mymms News has approached NMPC to find out whether the pink spray currently being used around Gobions Open Space, including around Gobions Pond, is part of that initiative. 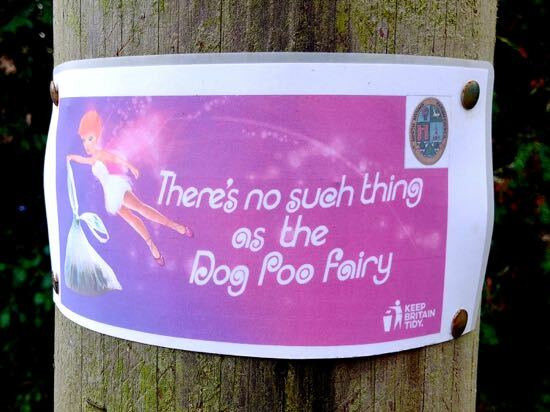 Spraying dog mess has been used by many local authorities as a way of highlighting the issue, but some question whether it would be better to remove the offending items, and there is also concern that pink paint could attract toddlers and present a health danger to youngsters. What do you think about the initiative? You can add your comments at the foot of this article. Local authorities have a responsibility to keep public areas such as parks, playgrounds and pavements clear of dog mess. NMPC has posted notices reminding dog owners that they must clear up after their animals. Herts and Middlesex Wildlife Trust (HMWT) has posted signs throughout nearby Gobions Wood telling dog owners that they must clear up their pet’s mess, but it’s clear to anyone walking through the area that not all dog owners are observing the rules.